Available Colors: Red, Royal Blue or Black with Black Trim. 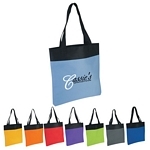 Multi-Colored Imprint: One Color included in price, 3 additional colors at $3.00 per color, per piece. Shipping Weight: 4 per carton @ 24 lbs. 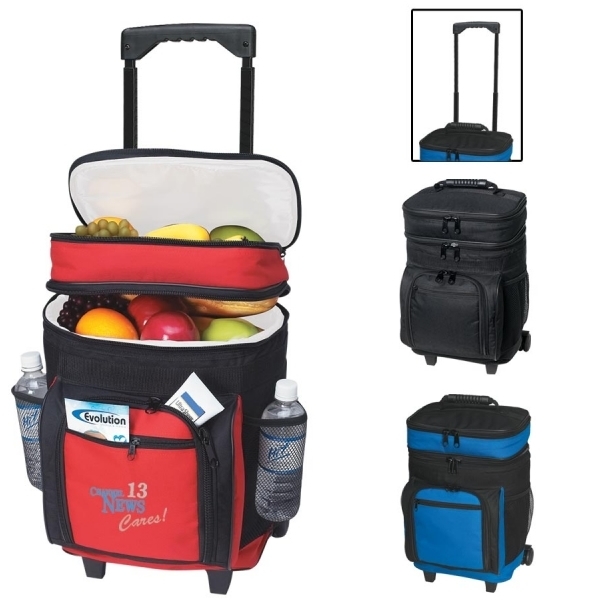 Customized 50 Can Rolling Kooler - Screen Printed Item #HT-3150S (Minimum Order: 12). 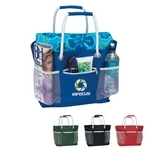 Promotional Cooler Bags like the 50 Can Rolling Kooler - Screen Printed can be personalized with your business logo and with No Setup Fees. 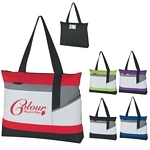 Customized Shopper Two-Tone Tote Bag Item #HT-3172 (Minimum Order: 100). 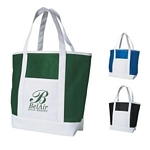 Promotional Tote Bags like the Shopper Two-Tone Tote Bag can be personalized with your business logo and with No Setup Fees.